In baking sometimes things can go wrong, sometimes they go Titanic. The ship is sinking with no hope for rescue. That happened today. One baking pin went wrong and one went Titanic. 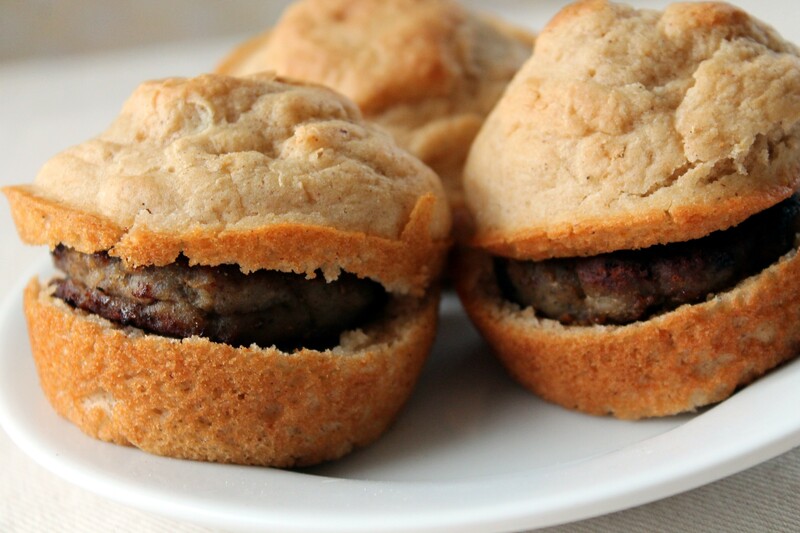 Baking pancake mix in muffin tins to create a pancake bowl. I ended up with pancake muffins. So I didn’t get my pancake bowl, no problem. I just cooked up some sausage patties and made pancake/sausage breakfast sandwiches. Pretty tasty. 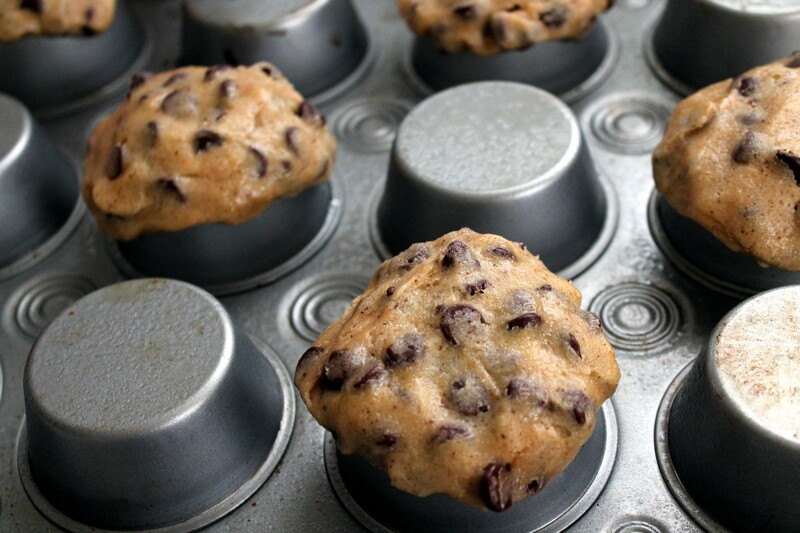 Turning your muffin pan upside down to make cookie bowls. Yeah…that one was a disaster. No survivors. I have burnt cookie pieces in my hair, a pan that almost did not come clean and a husband who is still laughing at me. I will laugh about this one day also. Just not today. The pancake bowl. I followed the instructions so I don’t know what went wrong. I will check out more pancake bowls pins and see if I can do something different next time. When I finally get it right I will share the experience with you. The cookie bowl. It was a last minute thing, I was baking cookies for tomorrows family dinner. I was down to the last bit of dough when I spotted my muffin pan sitting innocently in the dish rack drying. I got an idea (obliviously this was my first mistake). I remembered a pin, if was just a photo with no instructions, but it looked easy enough. So I flipped the pan over, gave it a nice coat of cooking spray, slapped on the cookie dough and popped it into the oven. 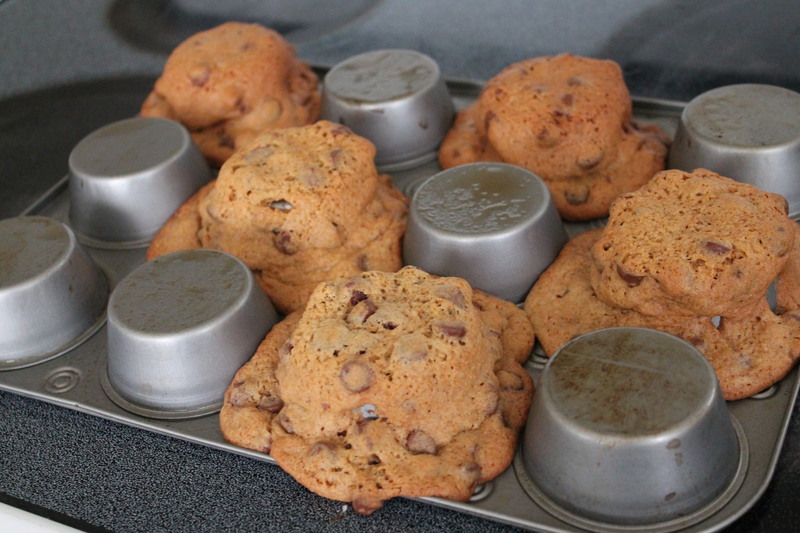 The pin showed the cookie down covering each muffin tin completely. I worried I didn’t use enough cookie dough, I didn‘t have much dough left. Apparently it does not take much cookie dough to make a bowl. I used too much and ended up with a darn big mess. 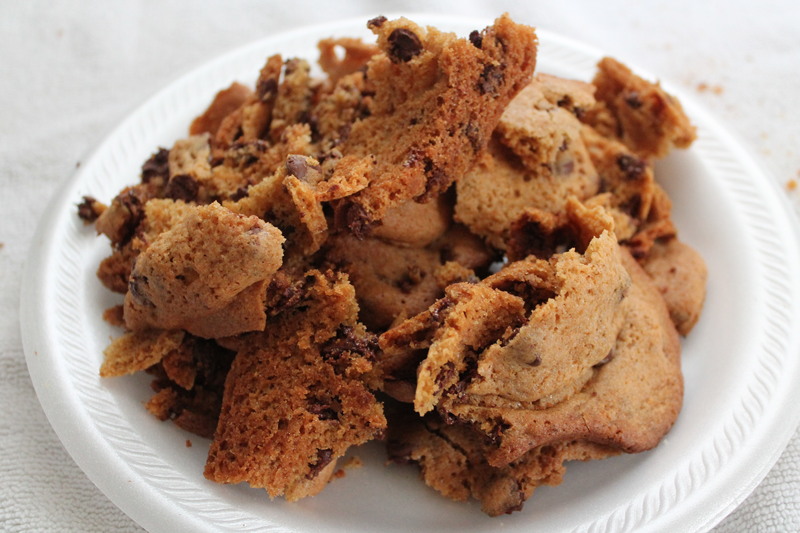 Cookie was baked/burnt onto the pan. I had to get a butter knife to fight and scrape the cookie mess off the pan. Burnt cookie was going everywhere. EVERYWHERE. All over my nice clean counter, the floor, my hair, I even had some crumbs get into my eye. I did learn that saying curse words at burnt cookie stuck to a pan does not do a thing to help get it off the pan. I did go seek out other pins. Next time I will mold aluminum foil to the muffin tin. I will also use less cookie dough per bowl. Hopefully I will have success next time.